Gageline Digitamic is an all-in-one measuring instrument that allows you to perform precise measurements during production. Compact design and flexible application – the Digitamic is the ideal tool for measurements in harsh production environments. The Digitamic measuring and display instrument is particularly well suited to performing high-precision dimensional measurements. The measurement accuracy is just 1% of the measuring range. You can connect the device to one or two inductive length measurement probes and freely configure it for your individual measuring tasks. To do so, you simply enter the relevant parameters via the multifunction keys. You can also use this compact and extremely robust measuring instrument in the harshest production environments. Operation is extremely simple, with no elaborate setup required before use. The Digitamic measuring instrument performs measurement tasks during production with great precision. You thus remain in full control of your production process at all times and can safeguard the high quality of your workpieces. The Digitamic can be supplied with one or two inductive full-bridge probe inputs. Thanks to its modular design, you can use it as a standalone unit or combine it with other Digitamic devices to form batteries. The connections are standardized, meaning that the modules require just a single power supply. Flexible application: Digital measuring instrument can be used for small and large measuring ranges. 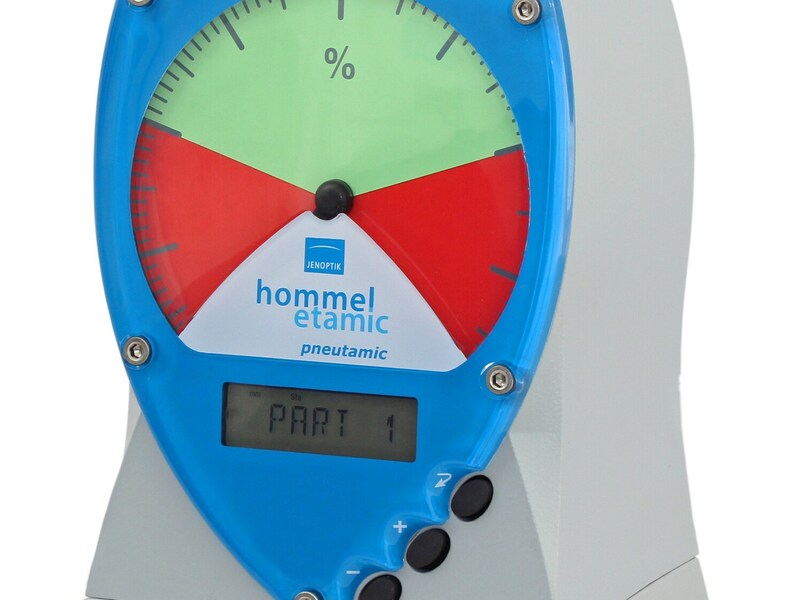 Extremely precise: Measurement accuracy is 1% of the measuring range (measuring range varies from +/-10 to +/-10,000 µm depending on measuring probe). Simple operation: No prior metrology experience necessary to control the device. Modular design: Combine up to eight digitamic devices to form a battery. Automotive industry: Measurement of engine components.